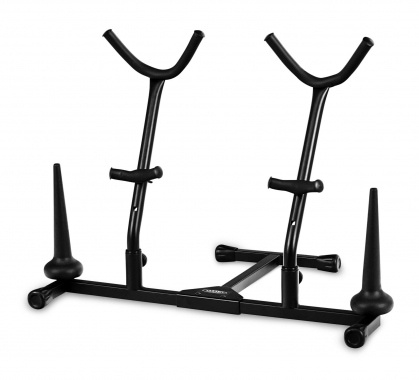 A practical combination stand with a secure hold! 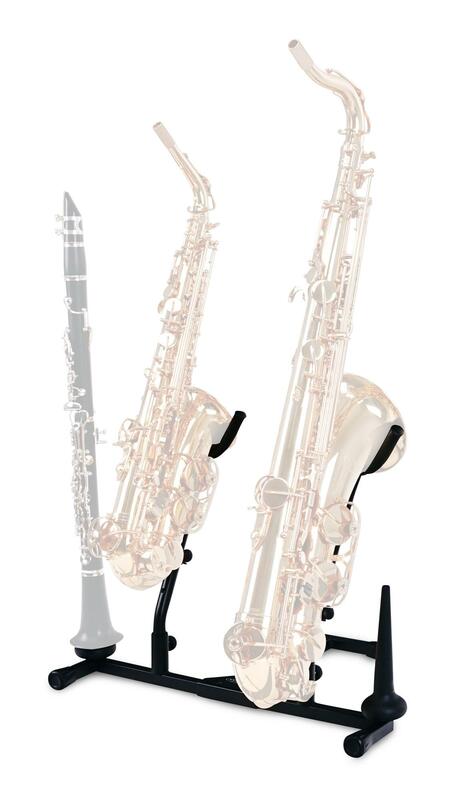 The Classic Cantabile AS-2016 2 + 2 stand provides optimum support for 2 saxophones and is equipped with two additional, detachable pegs for 2 clarinets. 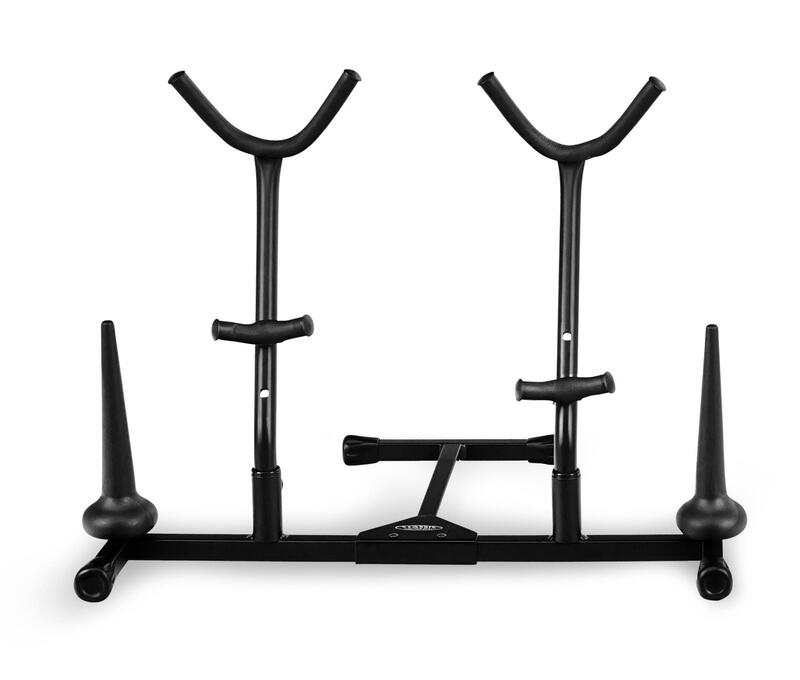 Support struts rest directly on the floor, and solid connectors provide a reliable hold for up to 4 instruments. 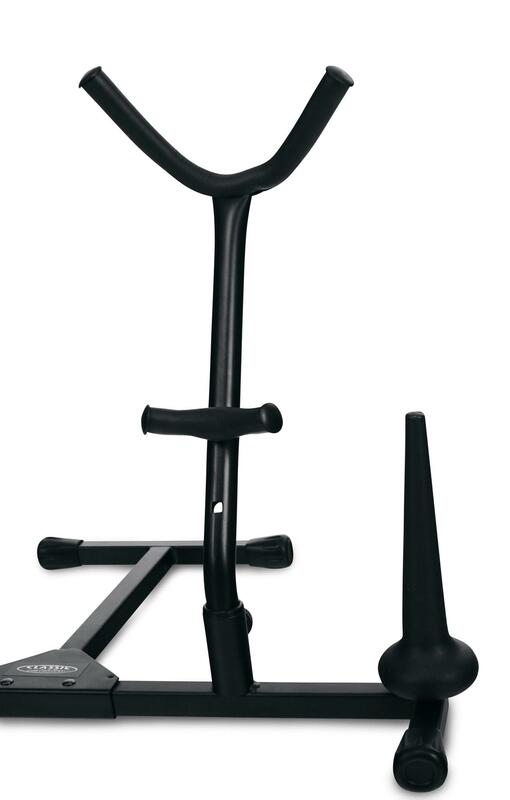 The position of the lower saxophone pad can be adjusted to fit the stand to your instrument. All the surfaces have soft padding, and the metal parts are powder-coated. The foldable stand legs snap into place to ensure stability. 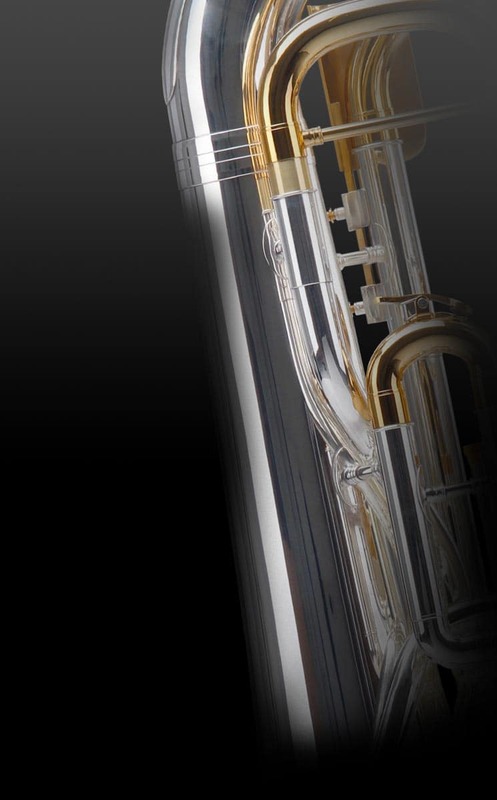 The two saxophone holders are mounted quickly on the stand with quick-release screws; a fine nut at the back of the tubes prevents accidental twisting. In order to prevent unsightly scratches on the lacquer, both screws are fitted with plastic tips. The two clarinet pegs are made of strong plastic and can be screwed into the stand for a secure hold. The two side legs can be folded to save space; dimensions when folded are only about 30x30 cm. Not suitable for silver-plated instruments! The solid craftmanship and space-saving design make the AS-2016 2 + 2 a practical and durable companion, at home, in the rehearsal room or on the stage!